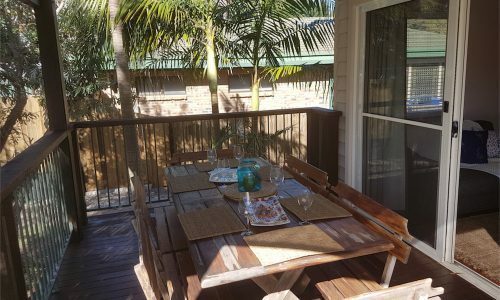 If you’re looking to stay on Stradbroke Island, we have lots of holiday apartments that you’ll love. Beach houses for those who really want to enjoy all of the highlights of this amazing island. We can help you find the perfect place that will happily welcome you and your animal friend. Explore some of the very best holiday accommodation options available on Strabroke Island. Affordable holiday houses on Stradbroke Island for the budget-conscience traveller. Whether you’re planning a weekend away, or a wonderfully long holiday, you’ll never want for things to see and do on Stradbroke Island. From the excitement of whale watching, surfing or mountain-biking, to the quiet tranquility of dozens of kilometers of unspoiled white sandy beaches, Straddie has it all. Join the thousands of travellers who have booked their holiday accommodation through Discover Stradbroke. Book securely online with instant confirmation, or call us to speak to a Straddie holiday professional. North Stradbroke Island is located in Moreton Bay 30km southeast of Brisbane, the State capital of Queensland. Straddie’s proximity to Brisbane makes it an easy getaway to a beautiful island for a weekend or longer stay. Most properties offered here for holiday rental include 1x return car ferry at time of your choice, a premium linen package with amenities and a $50 cafe voucher. Discover Stradbroke will take care of your ferry booking, make your beds and organise a dinner for you while you are here! Welcome to Straddie! All ferries to Stradbroke Island depart from Toondah Harbour, Emmett Drive, Cleveland, 4163 Qld and arrive at Dunwich, North Stradbroke Island, 4183 Qld. Vehicle ferries and passenger ferries depart hourly from early morning to late in the evening, 7 days a week. Vehicle ferries take 50 minutes and passenger ferries take just 25 minutes. 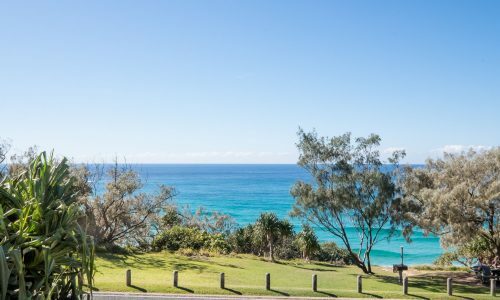 Discover Stradbroke’s holiday accommodation and beach houses are at Point Lookout on the eastern side of the island where the stunning beaches and walks around the headlands are located. North Stradbroke Island is a hidden gem on Australia’s eastern seaboard and is located just 12 kilometres off the coast of south east Queensland, and a 45 minute ferry transfer from Brisbane’s sleepy bayside suburb of Cleveland. 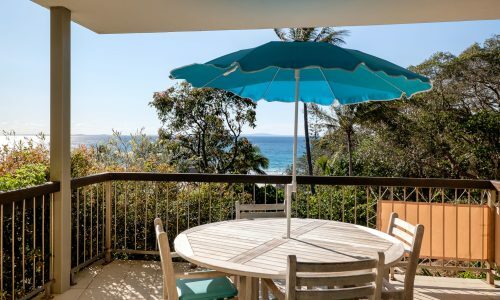 Your North Stradbroke Island accommodation options vary from beach front apartments at world famous Cylinder Beach, to luxury beach houses at Point Lookout and Amity Point. Book online, or give us a call and our staff will help you to bring your Straddie holiday package to fruition. When you need a break; a time-out from reality, there is something refreshing about leaving your home soil. Is it the physical detachment from your routine and commitments as you touch down on a new piece of land? Or maybe the vast differences in scenery, so contrasting to your suburban street or squishy CBD apartment? Australia has so many beautiful destinations on offer but why not exceed your expectations and rest your heavy head on the sand of the stunning North Stradbroke Island? It is filled with the Australian culture, flora and fauna that you know and love; yet you can experience a slice of island paradise across the ocean. In case you’re still wondering…we want you to discover Stradbroke Island and all it has to offer. 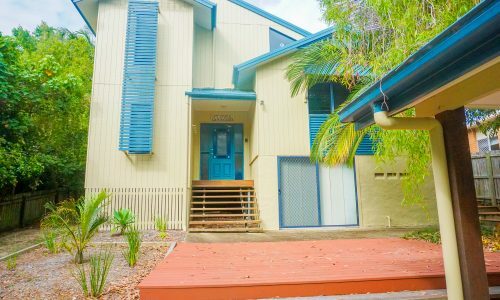 Depending on your style, budget and interests, not only is our charming island filled with opportunity, we have an abundant selection of holiday accommodation on Stradbroke Island that will delight you and bring you comfort while you enjoy your leisure time. Discover Stradbroke is a full-service real estate agency and we’re very passionate about the beauty of Straddie and helping our guests have the best possible experience when visiting. No other agent is going to know and understand the property opportunities on this beautiful island better than the real estate agency who are situated at Point Lookout, Stradbroke Island. We are here to assist you with holiday accommodation, property management and property purchases as well as property sales and appraisals. From booking accommodation on South Stradbroke Island to accommodation on North Stradbroke Island and everything in between, we can help. Apartments, resorts, beach houses and pet friendly accommodation are just a click away. 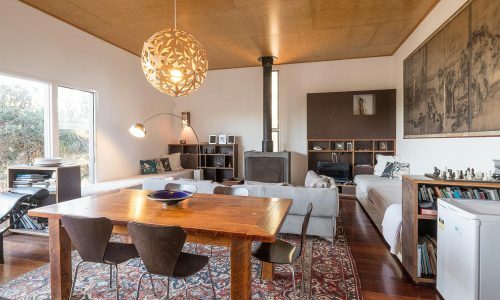 Explore our huge selection of stunning properties from bushland, to scenic views to beach-side getaways. Discover Stradbroke wants to connect you with a breath-taking Australian destination that is affectionately known as Straddie. Our user-friendly site will filter the exact type of premier properties that you’re interested in or, alternatively, we welcome your call to discuss your options in detail. North Stradbroke is your answer to a tropical paradise with almost three hundred square metres of sand, ocean views and adventure. This picturesque landscape is home to wildlife, sand dunes, mangroves and rainforest. There is something for everyone and it’s only thirty kilometres off of the coast of Brisbane. 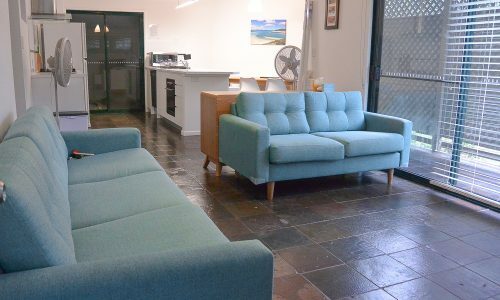 Imagine lazing around in the warm, balmy breeze and peaceful atmosphere as you enjoy your break inside one of the stunning holiday homes on Stradbroke Island. Hide away from the bustling, busy city and recharge your batteries. North Stradbroke Island is your home away from home with none of the stress. We barely see rain all year round and our tropical temperatures will have you feeling the holiday vibes as soon as your feet touch the sand. 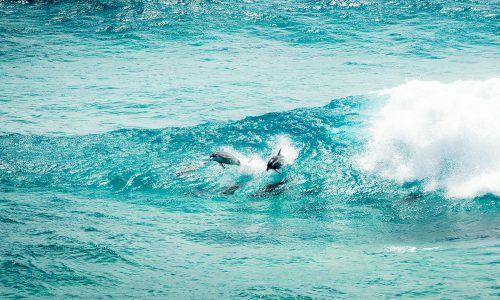 From the magnificent heights of our accommodation at Point Lookout, to the dolphin-spotting haven at Amity Point, Stradbroke Island is waiting to be discovered. We can’t express the adventures to be had when you visit our lakes and lagoons, Myora Springs and countless beach-side locations such as Frenchman’s Beach. Naree Budjong Djara National Park offers trails, wildlife and sand dunes to explore. Or hunt for the exquisite native violets and jasmine trees scattered across the land. Alternatively, discovering the animal habitat on North Stradbroke Island is enough to keep you busy for days. The isolated and fairly untouched surroundings are home to koalas, bandicoot, wallabies and many other mammals. We are the top Australian shorebird habitat as well as home to six of the seven species of marine turtles. You can watch the stunning display of humpback whales between May and November or the jubilant bottle-nose dolphins at Point Lookout throughout the year. The island also sees dugongs and rare manta rays as well as the newly identified species of Australian Humpback Dolphin. There is no shortage of amenities either on North Stradbroke Island, with fresh fish available to purchase and cook up, as well as groceries, coffee shops and restaurants on our down-to-earth paradise. There are also plenty of activities if you don’t wish to lie back, such as countless surf and fishing spots for the keen enthusiasts. Or take the opportunity to explore hidden treasures, walking trails and local relaxation spots. Speaking of opportunities, owning property on the island is a worthwhile and rewarding investment. Stradbroke Island is an incredible tourist destination if you’re looking to provide holiday accommodation for island-goers. You can view Discover Stradbroke as your trusted allies. While you carry on with your life off of the island, our property management team offer a comprehensive service that will give you peace of mind all year round. We can take over the entire rental process, ensuring your property is cared for and never mistreated. Or we can simply assist with booking enquiries and leave the rest up to you. Our GENKAN property management software allows our clients to view their property and any upcoming bookings and availability. We’ll utilise this same software to promote your investment to potential renters with a detailed guide of available properties and their unique features. Discover Stradbroke offer an across-the-board holiday rental and property management service. Our reach across the island and our online marketing will ensure you get the exposure that your investment requires. We have multiple websites to display the gorgeous and diverse range of properties on the island and our brand is trusted by customers looking to make secure and reliable holiday accommodation on Stradbroke Island. We pride ourselves on impeccable, unique, Straddie accommodation and our reputation reflects that. Just have a peek at our testimonials and ratings! If you’ve decided you want to purchase an exclusive property on our fascinating island or you’re itching to book your holiday accommodation, do not hesitate to contact us or browse our site. We are eager to help you discover Stradbroke and we are here to assist you with all of your real-estate endeavours. Depart from Cleveland, access us in your own car by ferry, rely on transport to take you across on the ferry, or get a plane from Dunwich. No matter what, it won’t take you long to reach our island paradise! Stradbroke Island offers a whole other level of beach trip experience. 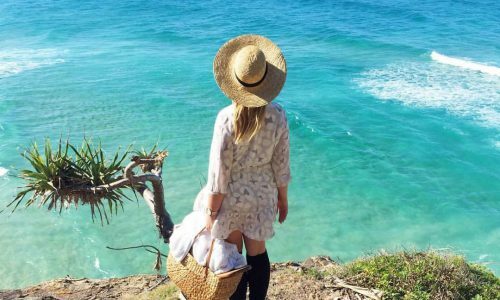 The word “paradise” can be used quite a lot but it should only truly be reserved for places like Straddie, a natural beauty, an indulging haven. It’s hard to believe such a breathtaking paradise is lying just 30km from the Gold Coast. With two beautiful islands to explore, where and how do you spend your trip? And of course, where do you stay? The second largest sand island in the world, North Stradbroke Island offers 35km of white sand beach down its’ eastern side with 4WD access. Everyone’s perspective of a relaxing haven can differ but North Straddie really is an idyllic getaway for everyone. There’s something to meet all tastes – enthralling wildlife conservations, action packed water sports, postcard sunsets, super surf, breath-taking bush walks, dolphin watching and more. When you’re ready to escape the hustle and bustle of city life, North Straddie is waiting for you just 30km southeast of Brisbane. To compliment the beautiful environment is an array of glorious accommodation choices. We offer access to the most quaint and glorious holiday accommodation Stradbroke Island has to offer. We’re talking the most beautiful beach side villas, impressive beach houses, stunning apartments and incredible holiday homes Stradbroke Island wide. Finding the perfect North Straddie accommodation for your heavenly escape could not be easier. Discover Stradbroke are Stradbroke Island’s total letting and accommodation agency, trusted to match Straddie visitors with quality properties on the islands. Our reputation is unrivalled, which means that we are entrusted with exclusive access to the best accommodation Stradbroke has to offer. Whatever the purpose of your trip, whatever your budget, we can help you find the perfect property for your stay. Choose from pet-friendly properties, affordable properties, luxury properties, beach houses and apartments. We can cater for solo, couple, family and group trips, even business trips! At Discover Stradbroke, we offer a completely unique and fresh approach to holiday home letting. We’re not just here to let out a property; we are your complete guides to all things Straddie. Search our online holiday rentals database or call our expert team on 0734153949. Discover Stradbroke also offers whale watching apartments, pet friendly accommodation, Stradbroke Island holiday deals and Stradbroke Island beach resorts. We also provide Straddie sales and rentals and Stradbroke Island wedding accommodation.